I've been getting back into doing some animated gifs in Imageready, and finished one for an anime series called 'No Game No Life'. I wanted to make it as small as possible, so instead of layering each change on the same image and saving it as a full image, then making it an animation layer, I just cut out the section of each image that I needed for the progression, used the eraser tool to remove all unneeded pixels, then layered the remainder in position, and set the whole animation to run over a common background (the static image). The final file works fine locally, and seems fine uploaded to Imgr, but when I upload it to CrunchyRoll (anime site), it shows the layer patches as white, instead of transparent. Does anyone know why this would happen, and what I can do to avoid it in the future? Customs officer: Have you anything to declare sir? Hyde: Man has not evolved an inch from the slime that spawned him! 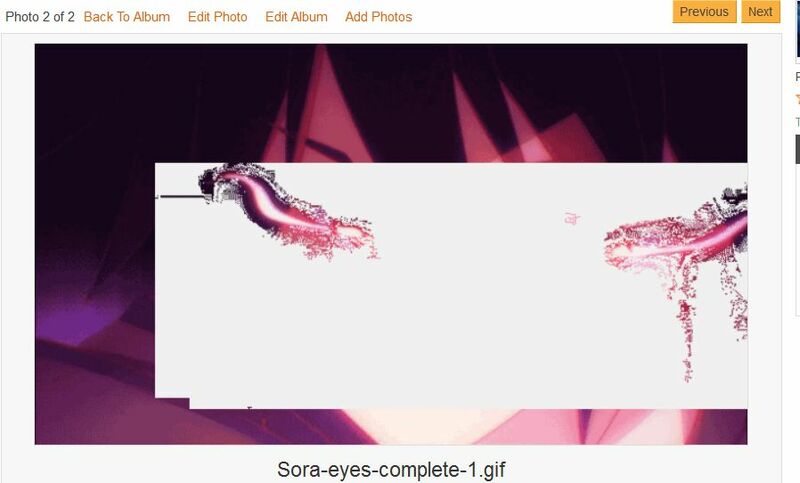 I'd guess crunchyroll is doing some kind of processing on the image file which causes them to break it. 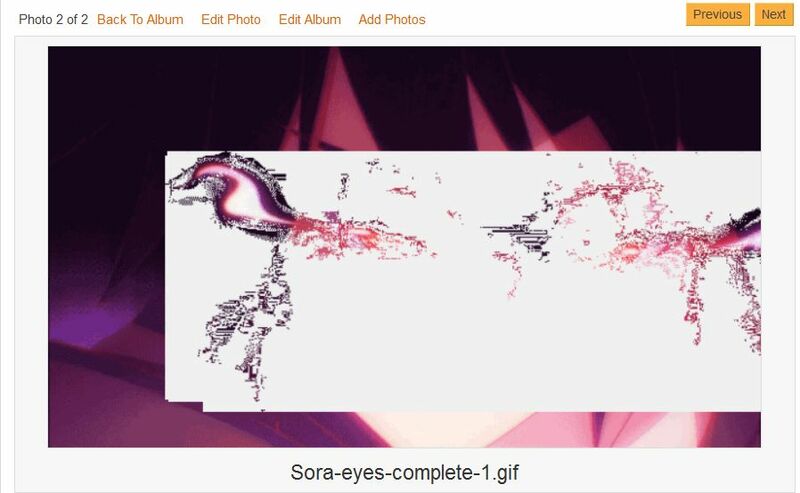 It's correct as rendered by my browser from imgur, after all. Might be able to investigate further if you could link to the actual cop(y|ies) as broken by crunchyroll. The last time I had transparency issues was in GIMP and InDesign. The file I got from a person was set on indicated colors mode, and InDesign recognised every transparent pixel as white. When I finally figured out what was happening I set it to RGB mode and it worked fine. Not sure if that's the case, though. Lemme know if you figure anything out...thanks! © Copyright 2000-2019 Cemetech & Christopher Mitchell :: Page Execution Time: 0.146296 seconds.